How to Copy and Rip Disney DVD? Disney has released many popular and classic animation movies, such as Snow White, The Frog Prince. For most movie lover, it is common to have a large collection of Disney DVD movies. Want to backup and copy them to your computer to prevent them from being scratched, and manage them in a more convenient way? It is never an easy task to copy Disney DVD, as most of them are protected with latest encryption technology which prevents them from being copied or ripped. To solve this problem, we need to find powerful DVD copy software that is able to decrypt Disney DVD to create Disney DVD backups, or rip Disney DVD to popular video formats. Disney (Walt Disney Studios Home Entertainment) is a well-known DVD releaser and publisher. The Disney DVDs have encryption encoded with new copy protection to prevent owners from copying the discs. The new copy protection is known as Disney’s x-project DRM. There are many reasons why people would like to rip Disney DVD and remove Disney trick. Usually, DVD discs released by Disney are classic and precious, thus not a single Disney DVD collector wants to scratch the valued DVD discs. Ripping Disney DVD to popular video formats seems to be a good alternative to safely play back Disney DVD yet without scratching the disc. For those cell phone or portable devices like tablet addicts, ripping Disney DVD can allow them to easily and conveniently enjoy Disney DVD movies on their small electronic gadgets such as iPhone 6s Plus, iPad Air, Android Smartphone and so on. Since Disney DVD discs cost a good sum of money, it is wise to make a copy for those expensive Disney DVD discs to prevent DVD data from getting lost. Note: It is against the law to rip copyprotected Disney DVD for commercial use even though you own the disc. It is suggested that you should consult your local law before you start to copy Disney DVD, decrypt Disney DVD and rip Disney DVD. As a professional DVD ripping application, Leawo DVD Ripper could remove Disney trick and rip Disney DVD to digital copy in 180+ formats. 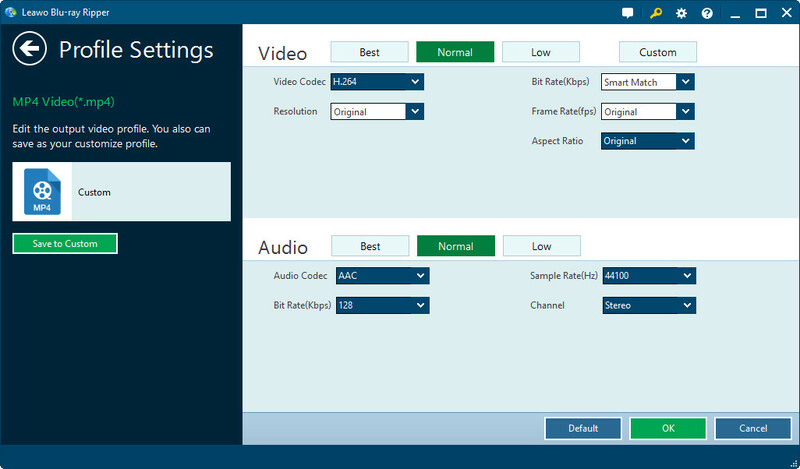 In addition, it allows users to adjust output video and audio parameters like video codec, audio codec, video size, bit rate, aspect ratio, frame rate, etc. 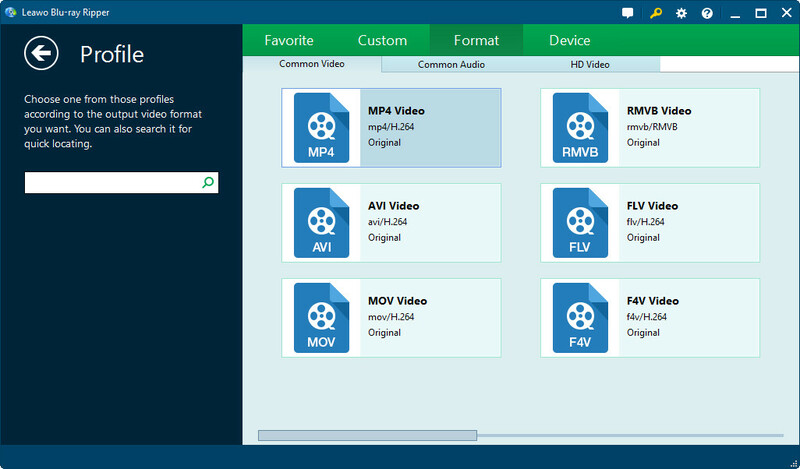 If you want to choose subtitles and audio tracks from source DVD movie, you can also realize it with Leawo DVD Ripper. It offers multiple tracks for you to select, making it friendlier to rip Disney DVD to those non-English speakers. Leawo DVD Ripper has two versions available: Windows version and Mac version. Free download the right one based on your computer’s operating system to experience how to rip Disney DVD from protected to unprotected videos/audios on PC/Mac. With the help of Leawo DVD Ripper, to remove Disney trick and rip Disney DVD would become very easy. Just get it and copy Disney DVD in just a few mouse clicks! The following simple steps will show you how to copy and rip Disney DVD with Leawo DVD Ripper. With Leawo DVD Ripper running on, click “Add Blu-ray/DVD” button on the main interface of the program to load source DVD. Click the drop-down box (named “MP4 Video” by default), and choose “Change” to choose output format you prefer. Click the big green “Convert” button on the top-right of the interface to start to rip Disney DVD. Some people ask, “I have some DVD discs collection, and would like to copy and rip those DVD, but I have no idea if those DVD discs are under Disney X-project DRM protection. Is there any way to figure out?” Yes, indeed, and there is more than one way to identify whether DVD discs are under Disney DRM protection. The most visible way is already stated above.Disney copy protected DVDs has 99 titles and the DVD movie size is larger than 40 GB. Your DVD player might not function well when comes to play Disney protected DVD, which means if you insist on playing, you are required to look for another workable DVD player. Error message will pop up or the program will crash, if common DVD ripping software is used to copy and rip Disney protected DVD. The Disney copy protection will prevent the DVDs from being ripped by general DVD ripping software and the videos converted from DVD will be out of order, scrambled or get stuck in a loop.